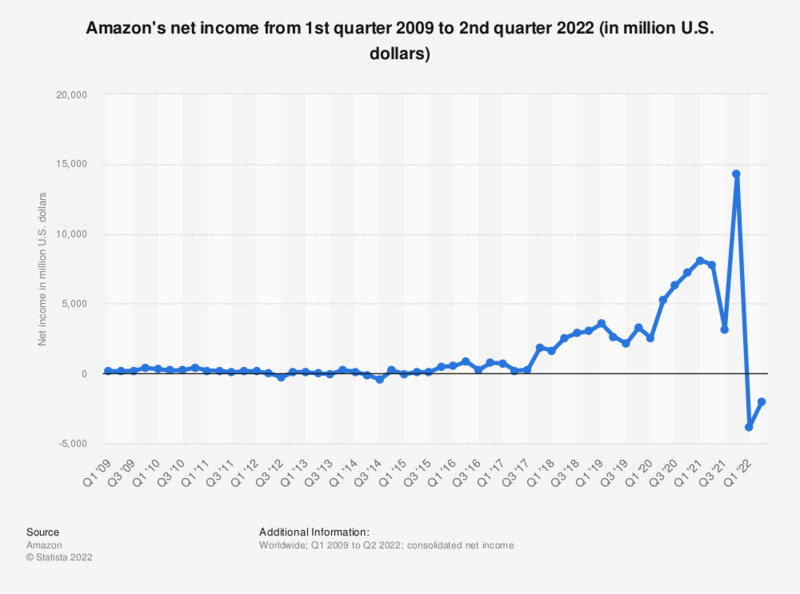 This statistic presents Amazon's net income from the first quarter of 2009 to the fourth quarter of 2018. As of the most recent quarter, Amazon's net income amounted to 3.02 billion U.S. dollars, up from the results of the preceding quarter with 1.8 billion U.S. dollars. During the fourth quarter of 2018, Amazon's net sales amounted to 72.38 billion U.S. dollars. During an October 2017 survey of U.S. Amazon shoppers, it was found that the most popular Amazon shopping categories were electronics, followed in second by books and movies.